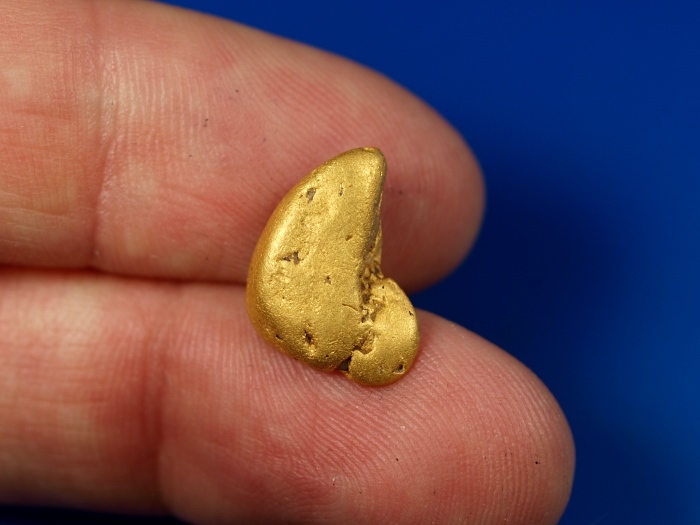 Here's is a lovely gold nugget that was recently found by a prospector along the American River, the site of the California Gold Rush. 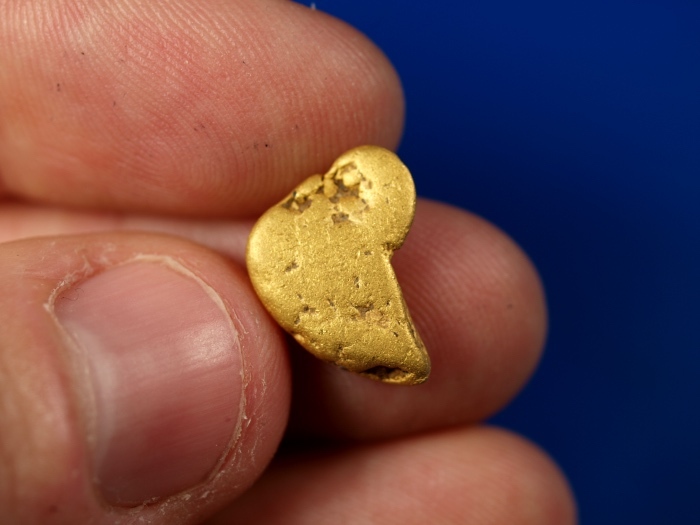 This beautiful nugget was missed by the old-timers, but discovered by someone using a modern metal detector in some old diggings. This nugget weighs 5.33 grams, will ship for FREE and comes in a nice display case.